Sometimes a free thing isn’t always a good thing. You may soon see a number of newsstands on campus offering free Toronto Star newspapers. You’ll likely pick one up, if there’s any left on the rack, and skim through it if you have time between class or on the subway. You’ve saved yourself 50 cents, but that free paper comes at the expense of something far more valuable to Ryerson students. With the stroke of a pen on a contract with the Star, Ryerson’s independent student voice becomes part of the Toronto newspaper war, a battle this paper has neither the money, staff or time to fight. 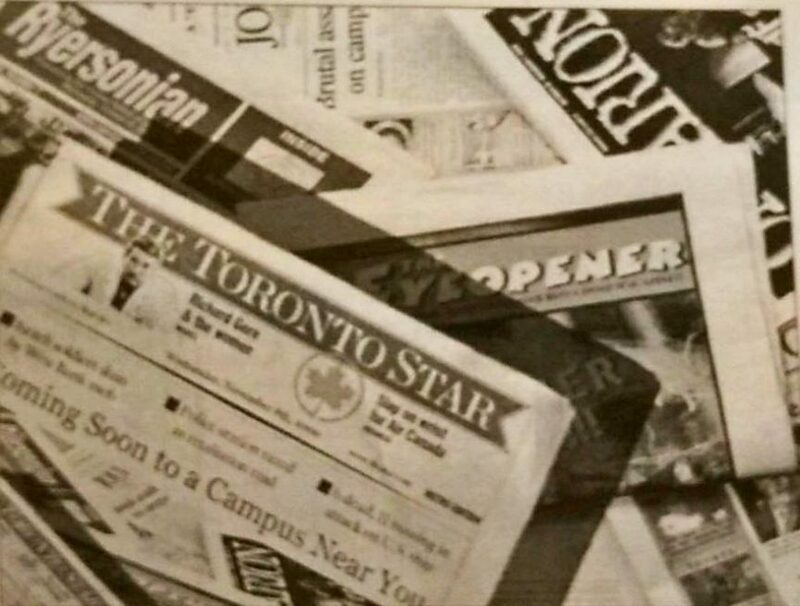 In September, 1999, The Eyeopener and Ryerson’s other media found out the Star wanted to bring its Campus Readership Program here. The past year has seen a flurry of meetings, e-mails, press releases, interviews and petitions asking the school not to turn this campus into a glorified newsstand. Last Wednesday, however, the university informed various campus stakeholders, including The Eyeopener and the student government, that it’s ready to forge ahead with a deal to being free Stars on campus — as a service to Ryerson students. The school points to a media survey conducted at the end of the last school year that shows 81 per cent of students already read the Star, and 82 per cent would read it if it were offered free on campus. Not a big jump, so administrators argue student papers shouldn’t worry about the Star stealing readers away in its quest to boost circulation numbers, and in the process win the newspaper war. But we do worry when we look at evidence from other cam[uses. The school already has a policy in place barring commercial papers from campus, a document the university’s senior directors are not reviewing. After a free distribution deal here was scrapped last school year, newsstands with the faint but still visible Ryerson logo showing through their fresh coat of paint popped up at Wilfrid Laurier University. The student paper there, The Cord, decreased its circulation to 4,000 from 5,000 in the first month of school because enough papers weren’t being picked up. 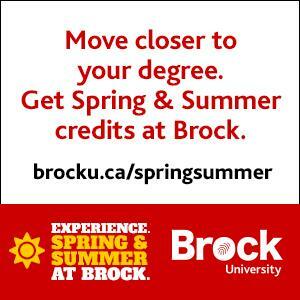 York University also bears the mark of allowing the Star on campus last year. 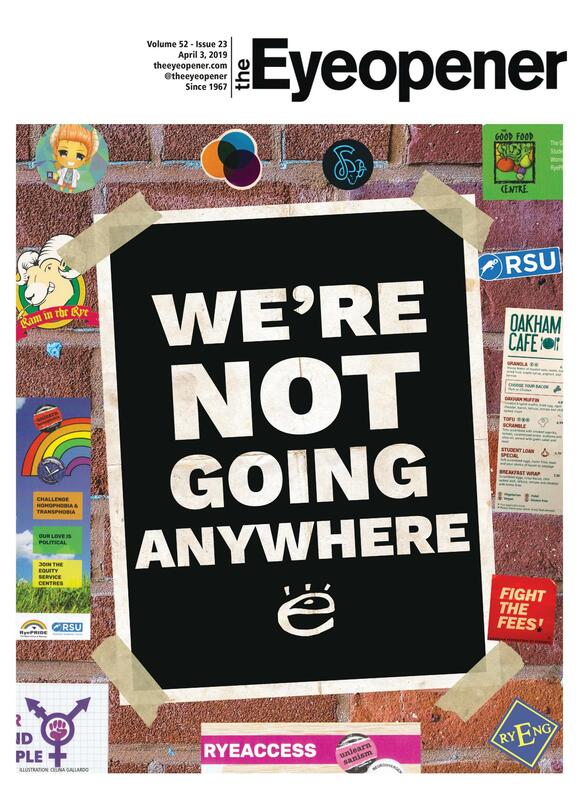 The students’ newspaper, the Excalibur, has dropped its circulation to 15,000 from 17,000. At Queen’s University, which opened its doors to the Star this September, the National Post and Kingston Whig Standard are also offering free papers now. It’s all anecdotal evidence, Ryerson administrators tell us. It’s unrealistic to believe that time-pressed Ryerson students will care to pick us up if they’ve got so many other enticing options. When you grab your free Star, brought to you by the corporation’s circulation departments and the university’s administration, will you bother picking up anything else on your way past the newsstands? If The Eyeopener starts losing money, one option is to cut down on staff and the size of the paper. That means putting out a product that serves Ryerson students poorly, and potentially losing this training ground that has graduated some of the biggest names in Canadian journalism. Another option is asking students to increase their levy to us, but suddenly that free thing is no longer really free.